Nutramino Protein Bar Chocolate Brownie is an irresistible protein bar with a delicious combination of soya crisps, soft caramel and chocolate brownie flavour. You will get as much as 20g of protein, which your body needs after your workout, all wrapped up in a unique taste and texture. Each bar is 60g. Protein Blend 25% (soy protein isolate, milk protein, hydrolysed collagen), caramel filling 18% (corn syrup, condensed milk, emulsifier: mono and diglycerides of fatty acids, palm oil, invert sugar syrup, humectant: sorbitol, water, salt, sugar) , sugar, chocolate soy crisps 8% (soy protein, starch, fat cocoa powder), cocoa butter, whole milk powder, humectant glycerol, palm oil, cocoa mass, aromatic, non-fat cocoa powder 0.5%, caramel 0.4%, emulsifier: soy bean lecithins, filler: microcrystalline cellulose, palm oil. 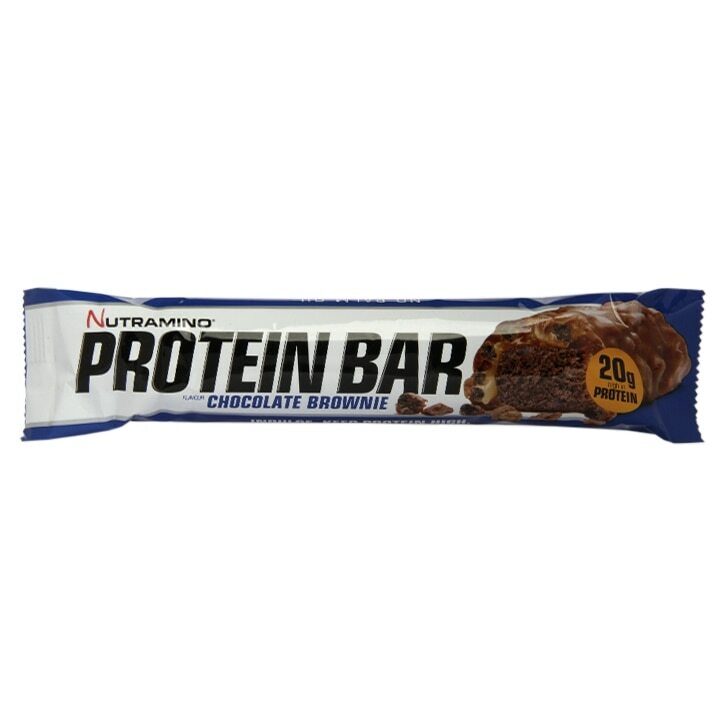 Nutramino Crispy Chocolate Brownie Protein Bar is rated 4.8 out of 5 by 6. Rated 5 out of 5 by dljones6 from Great flavour! Great taste and texture, would highly recommend. Extremely quick delivery. Rated 5 out of 5 by Millie459 from Very tasty Unfortunately all protein bars are expensive, I try to buy these when they have the offer on. The nutramino range of bars are the best tasting protein bars I’ve tried! This one was no exception.